Hanway Place are pleased to present a group show that brings together Claire Baily, Nicole Morris and Ben Schumacher, three artists whose formal inquiry into methods of display and use of materials (whether objects, print or film) endeavour to compromise a singular reading of their work. 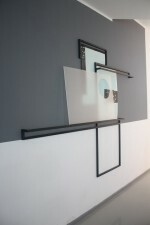 All three artists operate within the territory that exists between authors intention and a viewers interpretation, utilising that space to simultaneously guide and mislead the viewer disallowing any one mode of spectatorship. The composition of Nicole Morris’ works, both sculpturally and within the structure and narrative space of her films employs a taxonomic structuring of both images and objects. 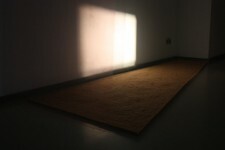 Morris examines their connections to one another in an attempt to question how context both architecturally and cinematically alters visibility. 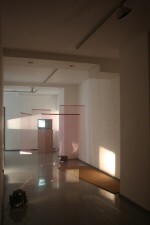 While physically negotiating the architecture of the installation, the viewer is left to consider how the filmic space is similarly navigated and constructed. Through the process of addition and subtraction, layering and repetition of material Claire Baily works with elements of structure, surface and display to form her compositions. 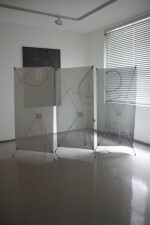 Rebounding between the 2D and 3D her works create an internal world of formation, as strategy is placed layer upon layer while simultaneously revealing and concealing multiple configurations that are embedded with their own physical codes. The engagement with the process of framing and reframing of an object or an image that continuously transforms the work allows her to obscure the starting points and manipulate the possibilities of her materials to create her own specific vocabulary. Ben Schumacher creates sculptural assemblages and images that question our notions for what is perceived and what is presented both formally and conceptually. 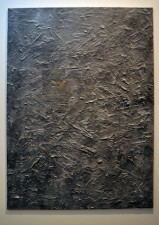 Physically, gestural mark making made in relief is manipulated to adopt an two dimensional attitude. Conceptually sculptures are employed as material for images in an endeavour to destabilise the correlation between the two. By photoshopping text or imaginary brush strokes over images of his sculptures the picture plane is rendered flattened, abstracting and debunking our reading of them. Claire Baily lives and works in London. She graduated from BA Fine Art at Goldsmiths College in 2010. Recent exhibitions include Claire Baily, Olivia Bax and Sarah Dorner, U8 Projects Japan, The Accidents of Form, LoBe Gallery, Berlin and her first solo show Gold Union, AND/OR Gallery, London. 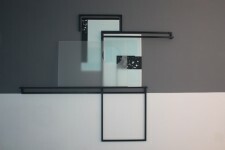 Nicole Morris graduated from the Slade School of Fine Art in 2011 with an MA in Sculpture. She has an upcoming residency and solo show at the Galerie ve skelpe, Prague, Czech Republic and will be going to America on the Boise Travel scholarship early next year. 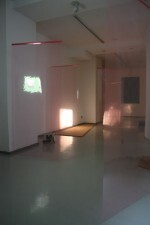 Recent exhibitions include, I can’t believe its not photography! 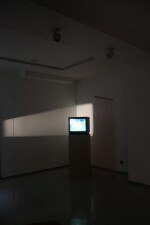 Babel, Stuttgart, Germany; Works in video, Space in Between, London and By Means of Matter, Generator Projects, Dundee. She lives and works in London. Ben Schumacher lives and works in New York. Recent exhibitions include Short Stories, Sculpture Center, New York; Bridgehampton Biennial, curated by Bob Nickas, New York; New Jpegs, Johan Berggren, Malmo; Reverse Boustrophedon, Tomorrow Gallery, Toronto and There is currently No Space or Place for Abstract Painting, Martos.